← Optimizing with Tim: 0% to 2.82% conversion in 3 short emails! That was the advice given by Paula from AffordAnything.com on a recent interview with the Mad FIentist, a podcast that I listen to. She was talking about investing in real estate, but the advice applies to building any asset base where the goal is building passive income. So for example, if you’re thinking of getting into real estate, you should commit to single family homes or you should commit to mobile home park land, or you should commit to 20-unit apartment complexes – then proceed to learn everything you can about that niche. As for picking the method, it could be buying distresses units and reselling them after putting in a bunch of work to fix them up. Or it could be holding them and relying on that monthly rental cheque. Pick one, and learn it, backward and forward. My niche is blogging, since I don’t have the money to pay cash for real estate, and I don’t have the intestinal fortitude to bear a six figure mortgage. My strategy is to write better than average content which attracts a more balanced traffic strata than other for profit blogs. That way I’m not overly dependent on one traffic source (Google.) I shoot for traffic sources split approximately 33% between each – referral, direct and search traffic. 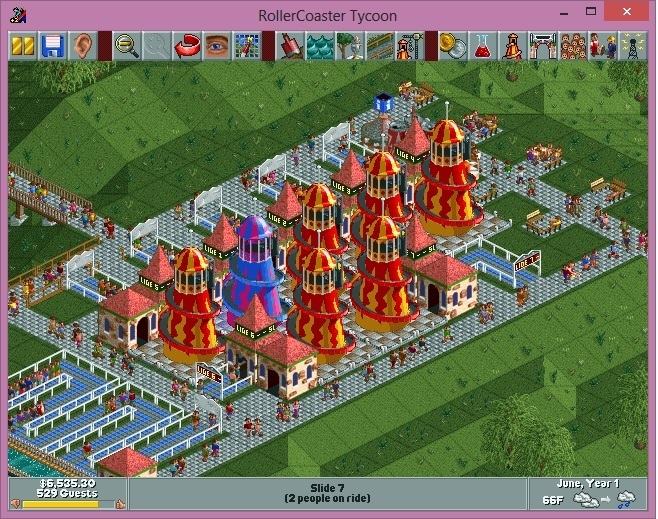 For fun, here’s my Niche and Method for winning Roller Coaster Tycoon. Pick a high traffic area, build a slide, and charge 3$ per customer. Repeat, repeat, repeat, repeat, win scenario! 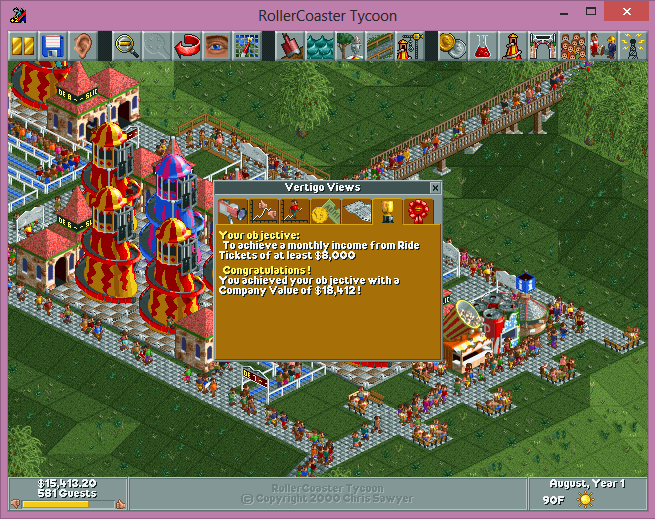 Achieved 8,000 monthly income with a 18,000 company value. That’s what – a 500% annual return? This entry was posted in Passive Income, Real Estate. Bookmark the permalink.